Veronica Lyons here from Marshallville Daily News. This week we’re talking with kids who are making a difference in their communities. Today I’m speaking with ten-year-old Amber Snyder. 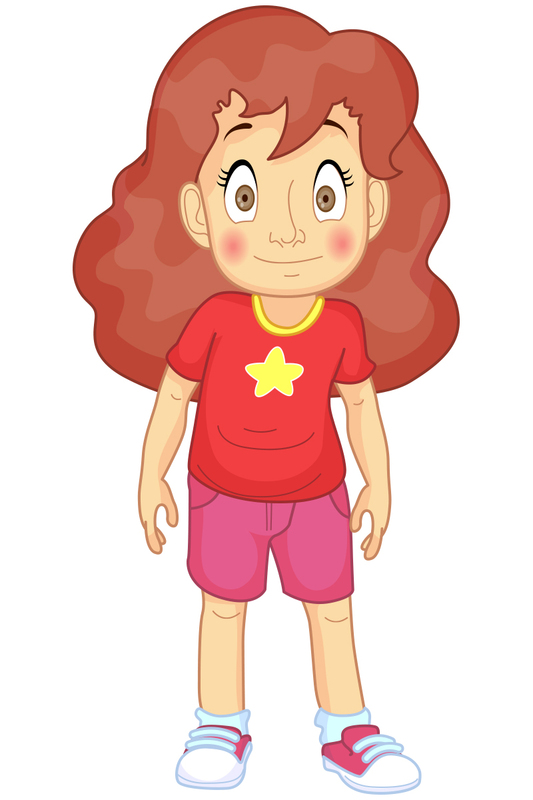 Amber is a member of the Handy Helpers, a group of children who assist the elderly in the town of Bluesky. Thank you for joining us today. How are you? Amber: I’m a little nervous but I’m happy to be here. Veronica: Tell us a little about the Handy Helpers and what you do. Amber: The Handy Helpers are kids like me who help at the senior center. We do some yard work and set the table for lunch. Sometimes we even help clean the kitchen. We call that KP duty. Veronica: Are you organized like a club or do you just show up to help when you want to? Amber: We are like a club. We have meetings every Monday. Logan is like the president. He wasn’t actually elected, but he’s really smart and organized. He’s a good leader. Veronica: Do you just help at the senior center or do you help seniors in other ways? Amber: We like to help seniors in any way we can. Sometimes they need help watering their plants or sweeping the porch. We’re always ready to help. Veronica: How can seniors contact you if they need assistance? Amber: We have posters around town to let people know we’re available. The best way to contact us is to call Walt at the senior center. He gives us our messages at the Monday meetings. Veronica: How many members do you have? Amber: There are seven of us, four girls and three boys. Veronica: Handy Helpers is a clever name. How did you come up with it? Amber: At first, it was only the three boys helping at the senior center. They were Three Handy Guys. Then when my friends, Melissa and Laura wanted to start our own group, we called ourselves the Happy Helpers. After a while, we decided that we could help more if we worked together. That’s how we became the Handy Helpers. Veronica: Well, I’m sure the people in Bluesky really appreciate all that you do. What do you like best about being a Handy Helper? Amber: I like helping, of course. But what I really like most is getting to know the seniors. They are so fun to be with. Sometimes they dress up in goofy costumes. They like to tell jokes and do fun things. They’re also good listeners when you have a problem. Veronica: It sounds like you have made some very good friendships with the seniors in your town. Amber: Yes, I have. They are my friends–Like Gus who always says, “See you later alligator,” and Betty who makes the best chocolate chip cookies you’ve ever eaten. Veronica: Well, I make pretty good chocolate chip cookies. Are you sure Betty’s are the best? Amber: Yes, they are. They have a secret ingredient. Veronica: What’s the secret ingredient? Amber: I can’t tell. I promised. Veronica: You can whisper it to me. I won’t tell anyone. Amber: I’m sorry. I can’t do that. Veronica: Well, you’re a very loyal friend. I’ve enjoyed talking with you Amber. Good luck with your Handy Helpers group. Amber: Thank you, Veronica. I’m happy I could be here and talk about the Handy Helpers. Beginning Friday, April 10, and continuing every Friday, the first Handy Helpers book, A Rocky Start, will be presented in serial form. I hope you will make it your Friday read.